In the book I also discuss the PBR theorem and its significance. Looking forward to a guest post from you about your book :) After some deeper introspection I am more and more convinced that the ontic/epistemic separation is not really working. On some things I am in the ontic camp, while in other in the epistemic one. (there is also this possibility that I am becoming senile-ha ha). But seriously, I do not see a clear cut separation anymore. Looks like everything is emergent from the concept of a process - which is coming back to my category theory approach. I am also puzzled by something else: the psi-epistemists (in the sense of Spekkens) seems to be no longer impressed by PBR and I find this very odd. Does this mean that the psi-epistemic position is not falsifiable? Is it unscientific like astrology? Hi Andrew, I think you confuse parameter independence with preparation independence. Parameter independence and outcome independence are equivalent with Bell locality. 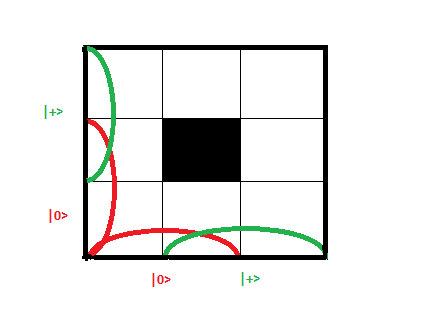 In the picture above the two x and y directions correspond to distinct preparation procedures and have nothing to do with locality. Sure, in a poetic sense they involve considerations of factorization but this analogy does not carry much water.